Our product range includes a wide range of drill bits, industrial drill bits, u drills bit, rock drill bit, tungsten carbide router bits and router bit. 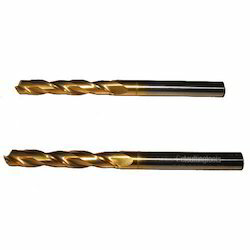 The company has come up as one of the prominent providers of Drill Bits in Pune. The wide range of the Drill Bits, offered by the company, is inclusive of Coolant Carbide Drill Bits, HSS M42 Drill Bits, Micro Drill Bits, Solid Carbide Form Drill Bits and Solid Carbide Step Drill Bits. The Drill Bits are tools that are used to generate holes in any material. 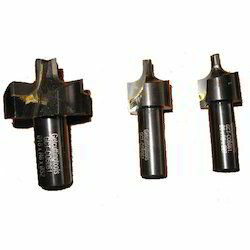 The company offers these Drill Bits from size Ø0.05 mm up to Ø114 mm. The Drill Bits are manufactured in various materials like HSS-M2, M35, M42, brazed carbide type, solid carbide, and replaceable carbide insert holder. All the Drill Bits are manufactured using the best quality raw materials which are tested in the metallurgical laboratory for required physical properties and chemical composition. 0. 05 mm to 60 mm. We manufacture a wide range of Industrial Drill Bits that are widely used to make a hole in any material. 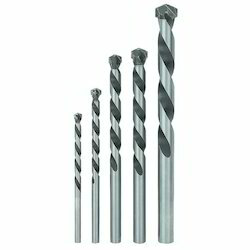 These industrial drills are available in various sizes ranging from Ø0.05 mm to Ø60 mm. Our entire range is fabricated using the qualitative material such as HSS- M2, M35, M42 and solid carbide that are procured from trusted vendors. The company has carved a niche for itself as major providers of U Drills Bit. The high-performance U Drills are meant for the CNC turning, vertical machining center and horizontal machining center of various capacities for machining of alloy steel, stainless steel. 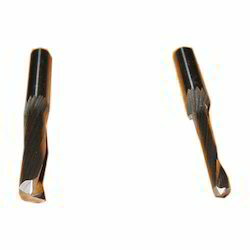 The U Drills are available at the market leading prices with the company. Rock Drill Bit offered provides for high speed and efficient drilling support through use of a hydraulic motor which makes use of rotation motion for faster & precise cracking and chipping away of rock fragments. These drills make use of H22 integral steel for better drilling efficiency and can be made available in different sizes for drilling holes of varied diameters. 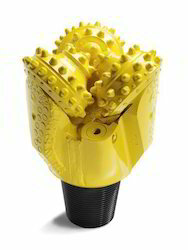 With the drills available in conformance to international quality standards, these are suitable for mechanized drilling applications like trenching applications, long hole production drilling, bench drilling as well as also find suitability in general excavation work, quarry drilling, secondary drilling and other jobs requiring sinker. 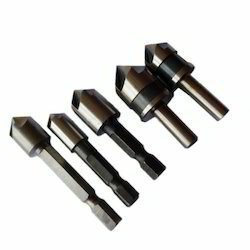 To furnish the diverse requirements of our clients in the best possible manner we are involved in offering an extensive range of Tungsten Carbide Router Bits. To furnish the diverse requirements of our clients in the best possible manner we are involved in offering an extensive range of Router Bit. 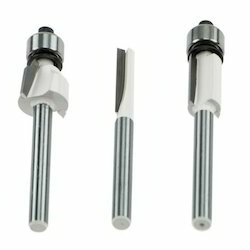 We have gained a remarkable position in the industry by offering a qualitative assortment of Solid Carbide Router Bits. The offered bits are manufactured employing high-end technology and well-tested raw material in adherence to industry defined guidelines. Apart from this, the entire range of bits is rigorously tested under the strict inspection of our quality controllers. As the name implies, offered bits are used for wood cutting. These bits can be availed from us in various specifications at market leading prices. Keeping track with the market development, we are engaged in offering our clients with a wide collection of Carbide Tip Router Bit that is used for wood cutting. This bit is manufactured using excellent quality raw material and latest technology by our skilled professionals. In order to ensure quality, this bit is stringently tested on various parameters by our experts. Apart from this, remarkable quality and sturdy structure increase the demand of our offered bit in the market.